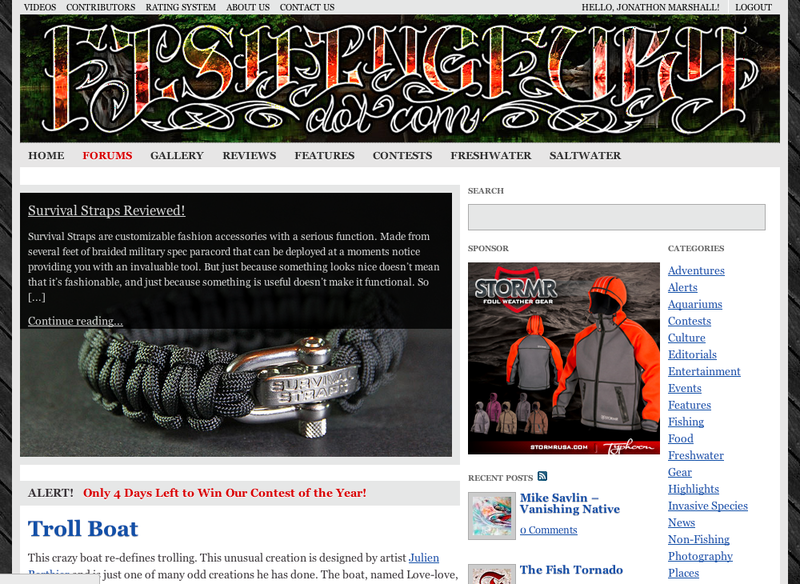 If you haven’t noticed, or maybe this is your first time visiting, we’ve made some major changes to the site recently. We’ve deployed an entirely new theme for the main site designed to responsively adapt to different screen sizes. That means the website should look just as great on your tablets and phones as it does your desktop. We’ve still got a few more bell and whistles to unveil, but first we’re working hard to fix some of our old content so that it looks better under the new format. It’s not an easy task considering we have over 8 years worth of content, but in some ways it’s enjoyable to go back to those early moments in our history. I hope you won’t mind reliving some of those moments with me in some upcoming throwback style posts. If you’re interested you can find some screenshots of what the site looked like years ago in our archives. For historical purposes I’ve also taken a quick screenshot of the previous theme. As always if you find something that’s broken, missing, or just feel like getting in touch with us you can leave a comment below or email us at [email protected]. If you didn’t get the fishing gear you wanted for Christmas you’ve got a just few more days to win our best prizes of the year. 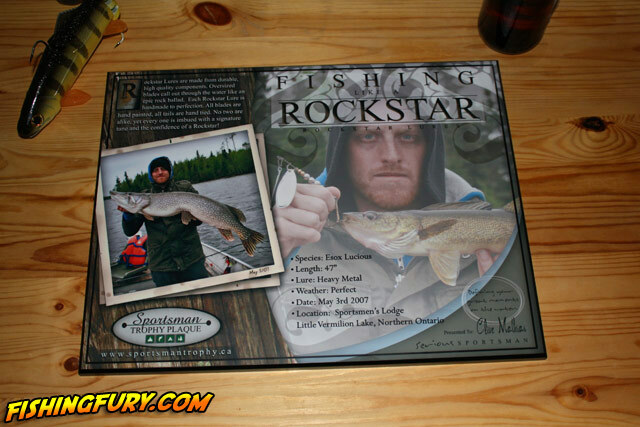 All you need to do is submit your best fishing reports from 2012 and you could win a one-of-a-kind, personalized, Sportsman Trophy Plaque designed by Fishing Fury (just like the one below I created for Clive). Our prize list includes also includes fantastic gear from some great companies like Water Gremlin, Insect Sheild, Big Smallie Jigs, Zazzy Pop, Survival Straps, LunkerHunt, Fishing Butler, Militant Outdoors, Frog Hair, and more! Keep reading for the full rules! The yearly contributor contest is back and better than ever! This year we’re going to give away even more prizes, and the contributor of the year will receive a custom one-of-a-kind Sportsmans Trophy Plaque designed by Fishing Fury. We’re still collecting gear for the full prize list, but I can tell you that there are already over a dozen great prizes in the pot from great companies like Water Gremlin, Insect Sheild, Big Smallie Jigs, Zazzy Pop, Survival Straps, LunkerHunt, Fishing Butler, Militant Outdoors, Frog Hair, and more! These are the rules for the 2012 contributor contest, please read them carefully. You must comply with all the rules to be eligible for the grand prize, the high quality images are required to create (print) the best Sportsman Trophy Plaque possible. All fish must be legally caught in 2012 under the stated rules of your local department of natural resources. No out of season fish will be accepted for this contest. In some cases we may ask you to give us help finding this information to confirm your catch. At least two high-resolution (4 megapixel or greater) digital photos. We want the ones straight off your digital camera, no photoshopping or colour correcting allowed. Just the raw photos please. This is a requirement of the grand prize, though you could still potentially win secondary prizes with a low resolution photo, the higher resolution the better. At least 100 words about your experience. 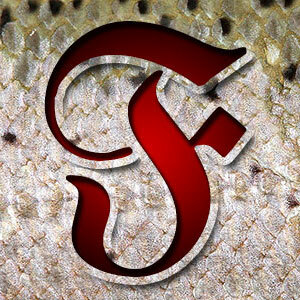 Don’t forget to include a title, location, species of fish, weather conditions, and lures used. Your full name, mailing address, email address, along with your photos and story, emailed to [email protected] with the subject of “2012 Contributor Contest”. Alternatively you can post your entry to our forums and tag the thread “2012 Contributor Contest” and PM your mailing address to us. Multiple entries are allowed, though you can only win one of the top prizes. By submitting your story and photos to this contest you give us the rights to republish them on our website. All contents must be received before January 1st 2013. Good luck to everyone and we look forward to seeing your entries!